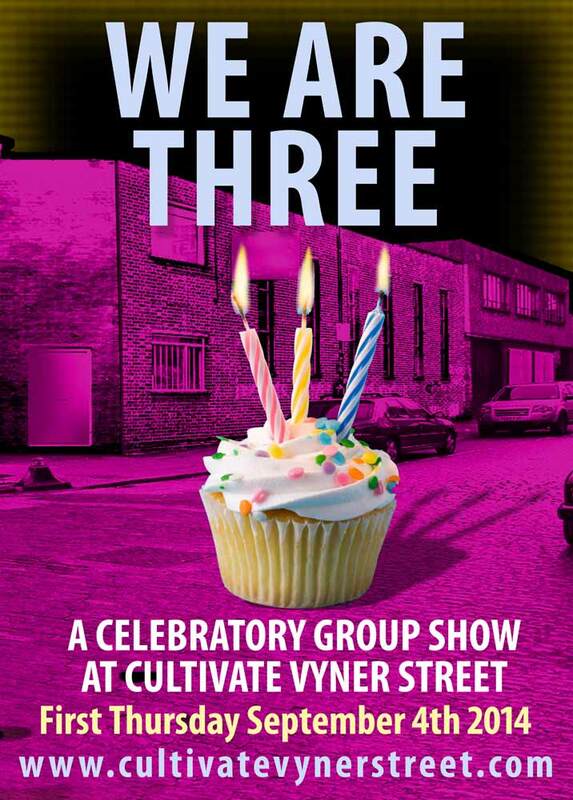 Three years of Cultivate in Vyner Street. Come celebrate the achievement of being here doing it non-stop for three full-on years. And look at this list of all the artists who have featured in our artist run DIY space over three years. Group shows are cool, don’t ever let anyone say they are not, group shows open doors, they provide stepping stones.We recently heard a London gallery owner proclaiming group shows to be a compromise that he wouldn’t never take. 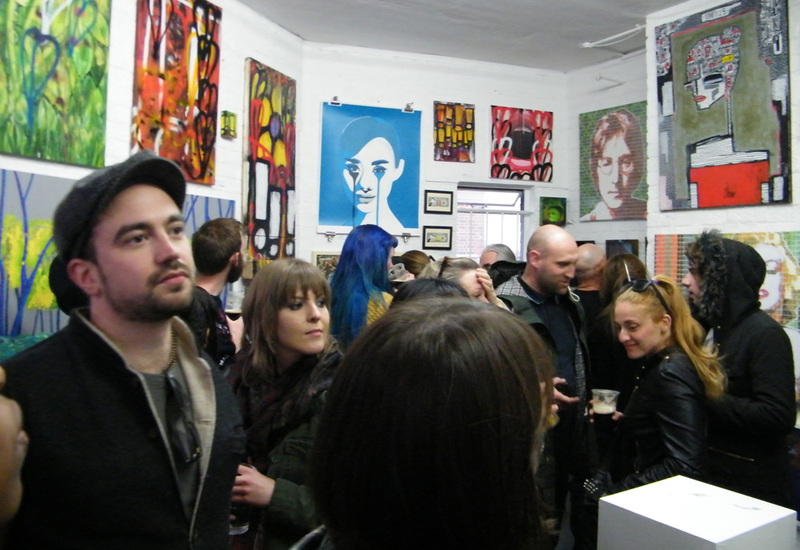 Don’t tell us well hung group shows put together in a picky way aren’t cool! They’re extremely cool, and anyway your gallery is hardly ever open, nothing worse that a hardly ever open ’cause your far too cool to do it gallery. We’re rather pleased to have put on all those busy group shows over the last three years as well as all the solo shows and the other events that have flowed through Cultivate.